« Older: It’s official: First MMA event to be held in San Pedro! 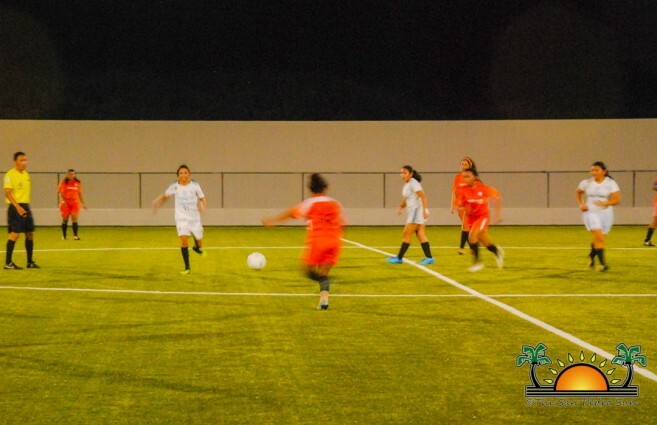 After eight weeks of the Copa San Pedro, leading the scoreboard is Young Strikers with 16 points in the male category, while Ambergris Combined Force and Island Warriors led the female category with 12 points each. 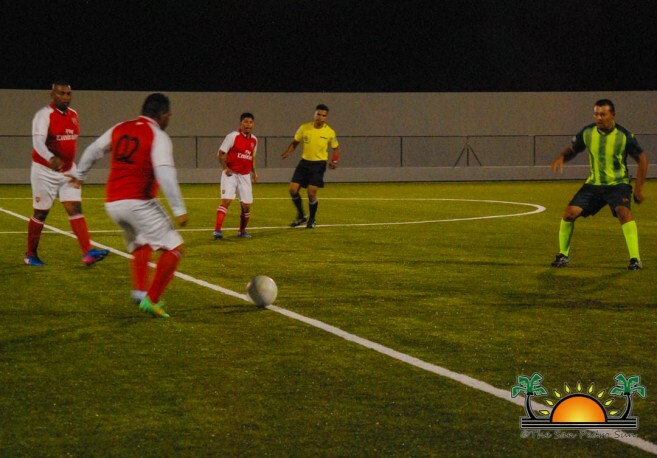 Eight matches were played during the seventh week of the tournament at the Ambergris Stadium in San Pedro Town. The first set of matches were played on Thursday, August 30th where Young Strikers defeated Legends F.C with a 4-1 score at 7 PM. In the next match, Los Catrachos F.C dominated 5-2 against G-Strikers. On Friday, August 31st, the tournament saw Peacemakers coming out victorious with a 4-3 score over Ambergris Hopes. At 9 PM, Boca Bombers won Talal F.C with a 2-4 point score. The last set of matches were played on Sunday, September 2nd starting at 3 PM with Genesis F.C winning San Pedro Pirates U-17 due to default. The next match saw Ocean Girls controlling Golden Warriors and winning with a 5-2. At 7 PM, San Pedro High School (SPHS) Girls won Ambergris Combined Force with a 2-1 score. 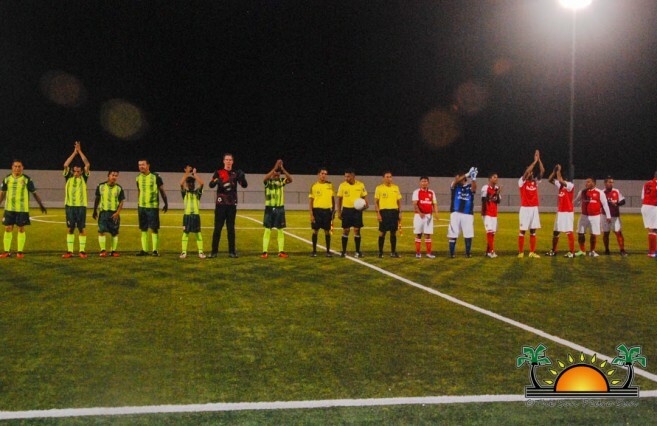 The last match of the week between San Mateo F.C and Sandy Point F.C ended in a 2-2 draw. The current standings in the male category have Young Strikers at the top with 16 points, followed by Boca Bombers with 15 points and Genesis F.C with 12 points. Los Catrachos F.C, Legends F.C, and Sandy Point F.C have 10 points each, while G-strikers and Talal F.C have nine points each. San Mateo F.C and Vince Assassins F.C have seven points each, and Warriors F.C with four points. Ambergris Hopes and Peacemaker have three points each and at the bottom of the chart is San Pedro Pirates U-17 with one point only. In the female category, the current standings have Island Warriors and Ambergris Combined Force at the top of the chart with 12 points each, followed by SPHS Girls with nine points. Ocean Girls have six points and at the bottom of the chart is Golden Warriors with three points. 2018 Copa San Pedro Football Tournament continues this weekend at the Ambergris Stadium, starting on Thursday, September 6th with Genesis FC versus Warriors at 7 PM and San Mateo going against Talal F.C at 9 PM. The following day, Sandy Point will take on San Pedro Pirates U17 at 7 PM, and Peacemaker versus Young Strikers. On Saturday, September 7th SPHS Girls will face Ambergris Combined force at 7 PM and Boca Bombers take on San Mateo FC at 9 PM. The football Weekend will culminate on Sunday, September 8th starting at 3 PM with Vince Assassin going against Ambergris Hopes, followed by SPHS Girls facing Ocean Girls at 5 PM. Later in the evening, Island Warriors will face Ambergris Combined and G-Strikers will take on Legends F.C. Everyone is invited to come out and support their favorite team. Food and drinks will be on sale during all games.